Alter The Press! : Nate Ruess (of fun.) 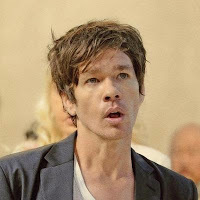 Releases New Song "Nothing Without Love"
Nate Ruess (of fun.) Releases New Song "Nothing Without Love"
Nate Ruess (of fun.) has released a brand new song titled "Nothing Without You," which can be streamed below. The track (taken from the singer's upcoming debut solo album that he currently recording) is available now to purchase via iTunes. "Hello there. It's been awhile. Quite awhile. I figured I'd happily take a quick break from recording (warmly, might I add) my very first album and give you a little intel on the song that you're hopefully about to listen to (and maybe even watch!). - The song is called "Nothing Without Love." - A lot of times songs come to me in the middle of the night while I'm sleeping, or while I'm driving. This one showed up in the shower. - It was recorded with Jeff Bhasker and Emile Haynie (both worked on the album Some Nights as well as "Just Give Me A Reason" and "Headlights"). - A lot of it was made in a house that we rented that wasn't supposed to be a recording studio, but we turned it into one anyways. - I remember taking a trip upstate to finish the lyrics, and returning thinking that I'd finally been able to say everything I'd ever been feeling in that moment, and it's applied to my life in so many different ways ever since. - This is probably my favorite song I've ever written. The one I've listened to the most on repeat. And I can't pinpoint what it is about it that makes its so special to me. Which makes me love it even more. Enough rambling. I'm dying for you to hear - and I should probably get back to work. Thank you for your patience and putting up with me. I love what I do. And I wouldn't do it if it wasn't for you guys. I really hope you enjoy it as much as I do. See you very soon. P.S. Last fact: That water tank I was in was where they shot the last scene in "Titanic". It was freezing, and after 4 hours in there, I too was about to sink."